Traditionally, the role of a pharmacist is focused on pharmaceuticals, with little contact with patients. A pharmacist, as a drug expert, is rarely seen to engage with patients or provide consultation and feedbacks to physicians. However, this traditional role is fast evolving, due to the increasingly challenging healthcare environment. In the healthcare industry, there are a number of professional roles, such as the physician, the nurse, the healthcare workers and the pharmacist. 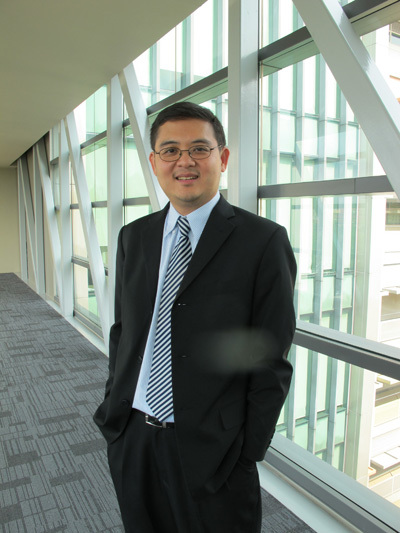 The physician is the head of a team of healthcare professionals, where he or she will make a diagnosis and traditionally decides on the best form of treatment, explained Professor Nathorn Chaiyakunapruk, Professor of Health Economics at the Discipline of Pharmacy at Monash University Sunway campus. “However, in recent years, more and more conditions are surfacing in terms of medical conditions and also drug interactions, making it difficult for physicians to keep track,” he said. Prof Chaiyakunapruk said pharmacists have taken on a bigger role within this new healthcare environment, assisting doctors with their in-depth knowledge of drugs. “Today, more pharmacists are playing a bigger role in patient care by looking at the usage of medication in three ways, namely how the body interacts to the medication, the optimal dosage for a treatment to be effective and still be safe, and the right usage of the drugs,” he said. Pharmacists of today interact closely with doctors and nurses, working as a group, to improve the overall quality of healthcare, said Prof Chaiyakunapruk. “We also interact closely with patients, by explaining and giving them an understanding of the medicine. “We also try and impart a good attitude to medication, which is very important. For example, some drugs don’t take effect immediately, so patients need to be warned and educated so that they can also manage their expectations,” he said. A research work of Prof Chaiyakunapruk and his team, published in 2010, further shed light on the increasing importance of pharmacists in increasing the quality of healthcare. The research, which centred on the administration and usage of the drug warfarin, found that the risk of bleeding was significantly lowered in patients when a pharmacist was present to advise them. Warfarin, a blood thinner, has a narrow therapeutic index, which means that it needs to be at an optimal level of medication in order to be effective - in other words, too little and it’s not effective, while too much can cause excessive bleeding. “In administering warfarin, pharmacists can be involved by helping physicians advise the proper dosage for patients, and also to educate patients on its usage and risks. “My research has shown that having pharmacists involved in the process of administering warfarin to patients reduced the cases of overall bleeding by almost 50%. There was also a trend of reduction in cases of stroke and mortality,” he said. Prof Chaiyakunapruk’s work was published in the Journal of Thrombosis and Haemostasis, a reputable journal with a high impact to the medical and healthcare industry. On the role of the pharmacist, he said that with an expanded role, pharmacists needed to be equipped with good drug therapy management on top of being competent communicators. “Pharmacists need to learn communication skills to understand patients and to see their perspectives. We need to see patients as human beings, and not just a disease that needs to be healed,” he said.